Are you a beginner in the blogging industry? 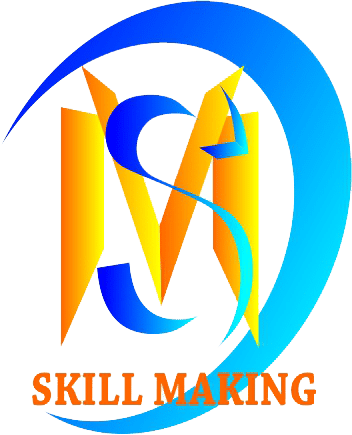 Do you want to learn SEO? If your answer is yes then this is the right place for you. Because here I will share some SEO tip which may helpful for you. These tips are personally used by me. You should read these SEO tips. Here you will get all answers which may important for you. If you want to learn SEO then you should keep reading this article till the end. If you want to compete with already rank website which has already high DA & PA then this is completely wrong for you. Because you have a new website that does not have any PA / DA. In a rank of a website, there are many factors works like website’s age, DA, PA, backlinks etc. But a new website hasn’t these all. So you shouldn’t try to beat a big website like ndtv, timesofindia etc. You should start with low competition. And when your website has enough backlinks and other SEO factors then you can beat a big website. But at the start, you should never try to beat big websites. Every person has a passion which is very important in blogging. Because if you work in your passion then you can do definitely a good job. This is very important for a blogger. You should choose your topic according to your interest. And you should also make your website with your interest. If your passion is traveling then you can start your blog where you can review the places. Then you can make a very interesting article which will be loved by people. So you should definitely start with your passion. If you are using keyword stuffing in your website then you can’t rank on Google search results. So you should never use keyword staffing on your website. Keyword staffing meaning you use a keyword multiple times in your article. Google takes it like a spam. If your article ranked on Google in 3rd or 4th page or any other page and you want to rank your article at first page then you should create backlinks. Backlinks are very important to rank your website. Make sure that you should focus on quality backlinks, not for quantity backlinks. Make sure you should create backlinks in those websites who also have your topic. Many beginners do this mistake. If you have a WordPress website then you should use SEO plugin like Yoast. This is a very good plugin for SEO. By this plugin, you can easily create Meta description, Meta keyword, SEO title etc. This plugin checks your SEO score and readability score. This is a very helpful tool for beginners. You can use the free version of this plugin. If you have some money for investment then you should use the premium version of this plugin. You should use Google Search Console for your website. It helps to know about your website’s traffic that which article has more traffic. Google Search Console is the totally free tool of everyone. If you are a beginner then you should use the Google Keyword Planner Tool. Here you can get an idea that which keyword should you choose. This is very important that you should choose a searchable keyword. Here you should never choose high competition keyword. If you choose a high competition keyword then it is very difficult for you. So you choose low completion keyword. And you can add some extra word in your keyword. Ex. : you choose a keyword which is “mobile phone under 10000” here you can add words like “best mobile phone under 10000 in India”. So if you are a beginner then you should use these tips. You should never compete with the big website, you should follow your passion, you should use SEO plugin, don’t use keyword stuffing in your article, you should create quality backlinks, you should use Google Search Console & Google Keyword Planner tool. So I hope this article may help you to learn about SEO. These tips are very important for every blogger. I hope you love this article. You should share your thoughts about this article in the comment section. If you have any query regarding this article then you should write a comment below. 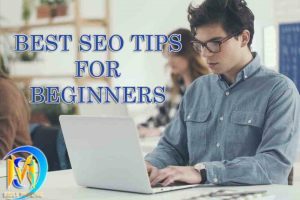 This entry was posted in blog, blogging, digital-marketing, seo and tagged best seo tips, best seo tips for beginners, seo, seo tips 2018, seo tips for everyone, seo tips for website. Bookmark the permalink.